ISA International Sign Expo has been breaking records in exhibit sales and attendance. 20,000 colleagues and nearly 600 knowledgeable suppliers who come together at this always exciting event. Graphtec just got bigger. Packed with NEW products and MAJOR partnership showcases, you will not want to miss visiting booth # 2055. 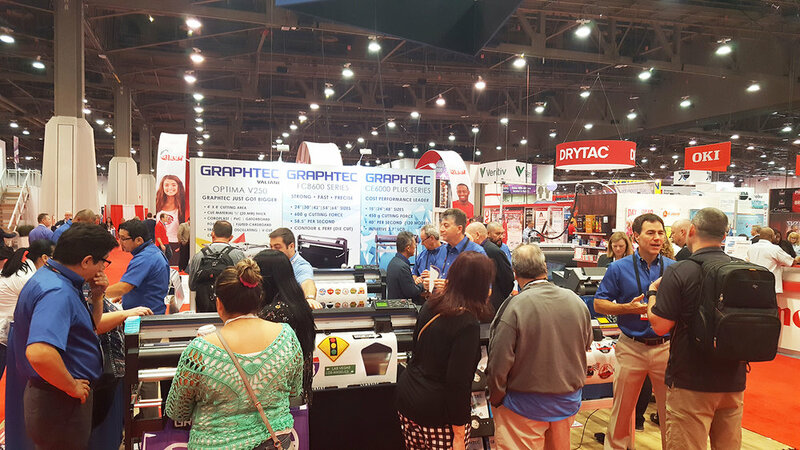 Graphtec America, Inc. is a leader in cutting and finishing solutions for the Signage, Apparel, Label, and Prototype Packaging industries. Join us October 23-25, 2019, in Dallas, Texas, for the best opportunity to experience the latest in printing technologies.